I’m still trying to digest everything I saw. At two and a half hours, they pack in a lot. All of the action sequences are amazing. There are so many that would be the grand finale in most films. This movie had a lot of surprises. There were directions they could’ve gone but didn’t, and I appreciated that. There were also some reveals and yet more mysteries layered into the mix.v Everyone is great in their role. (It is bittersweet to see Carrie Fisher in her last role though.) The characters are fleshed out even more, revealing their true nature. There are a lot of things addressed that I can’t touch on without spoilers, but safe to say the movie has depth. The movie also has some great touches of humor. BB8, Fin, the porgs – they all have their moments. Special effects? Amazing. And I appreciate that Yoda was a puppet again and not the cheesy animated thing from the trilogy we all want to forget. Rogue One and Empire Strikes Back still edge it out, but this was a big favorite of the Star Wars movies. And did you catch this Tweet from GeekdomHouse? Help Geekdom House create a no-kill shelter for all the porgs purchased as Christmas presents and discarded. Shawn and Gus are back and it’s like they never left. It’s three years later and everyone is now in SanFrancisco. 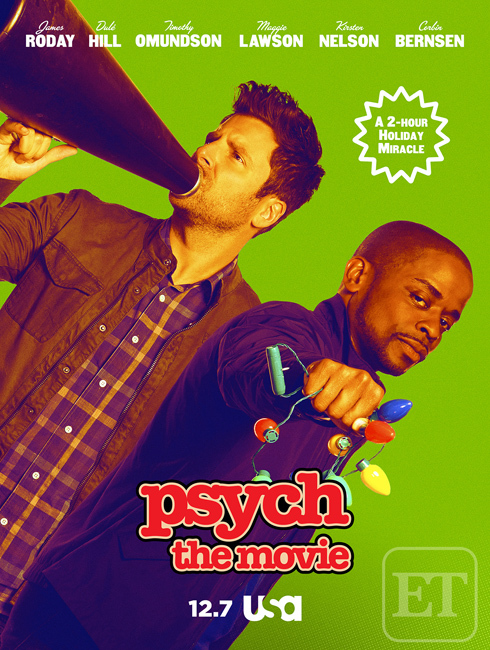 Shawn and Juliet are living together, Shawn and Gus have a new office fashioned after the Chinese pawn shop in Gremlins, and Juliet has a stalker. Everyone is back and it’s more hilarious than ever. Timothy Omundson (Lassie) suffered a stroke just before filming began and the script was rewritten. He is in one small scene though. The ending is for the fans. That’s all I’ll say. If you are a fan, then you will delight in this reunion. And clamor for more! For comparison, here is the Japanese anime version which came out around twenty-five years ago. This was my first exposure to Alita and remains one of my favorite anime. It’s only an hour and two stories in one film, but it was well done. This is the entire movie, but you can watch a minute of it to get a feel for the film’s style. I think the live action one will stay true to the feel of the story. The IWSG is excited to welcome a new admin - Tyrean Martinson! She is heading up our latest venture - IWSG on Instagram. Please welcome her to the team and follow us on Instagram! I have an author website up at Carter Novels, featuring all of my books, audio books, and book trailers. If you’d like to know more about Carter Novels, let me know. Chrys Fey is hosting the Flaming Crimes Blogfest on January 3. See her site for details and to sign up. This month is all about Christmas music. I couldn’t find a traditional song I really dug, so I picked something different. I selected one that most people are familiar with – Trans Siberian Orchestra’s Wizards in Winter. Plus, this is the video with the house Christmas lights all in sync. 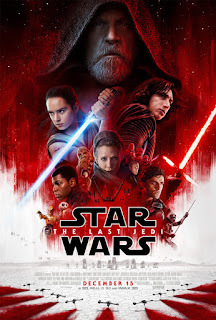 Have you seen the new Star Wars film yet? 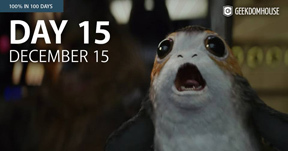 Giving anyone a porg for Christmas? Did you watch the Psych special? Excited about Alita? What Christmas music movies you? Mini-Alex would like to wish everyone a blessed Christmas and Happy New Year! 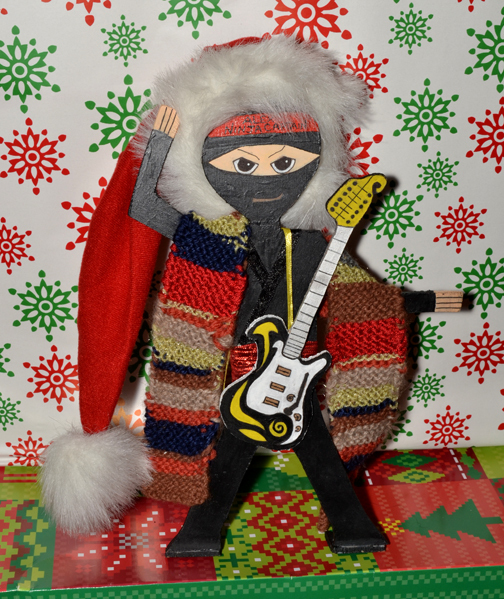 I’ll be offline December 22 through January 2, enjoying the holiday season. (I will check in on comments, Twitter, and emails though. And finally catching the wide release of The Shape of Water.) 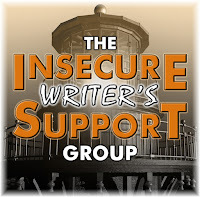 See you January 3 for the IWSG post and announcement of the anthology contest winners. 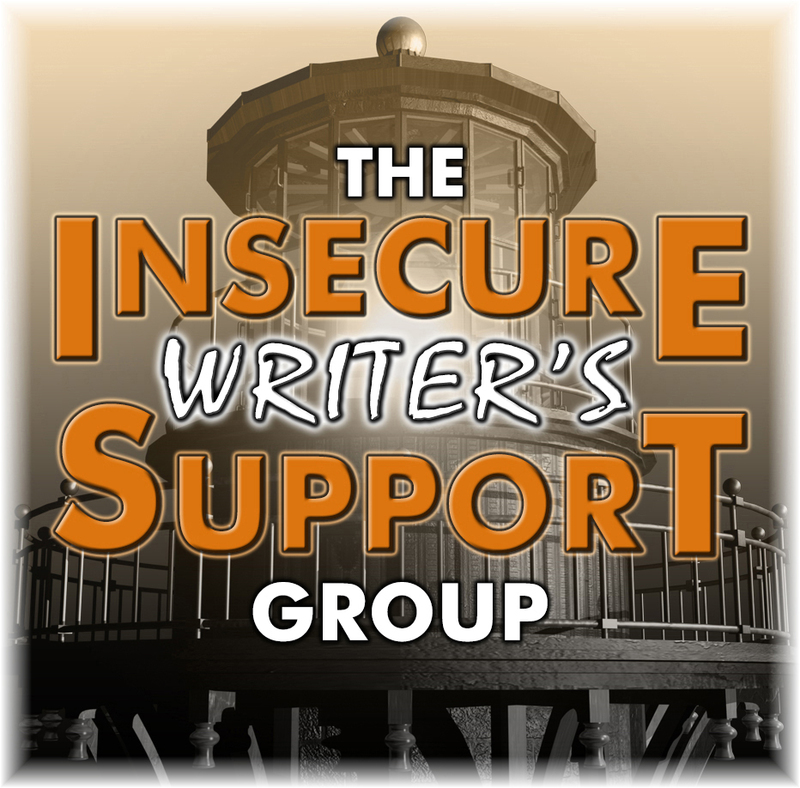 Insecure Writer’s Support Group, Movie Review – Coco, WEP and New Releases, and Mini-Alex! My awesome co-hosts today are Julie Flanders, Shannon Lawrence, Fundy Blue, and Heather Gardner! I could certainly have written more (I bet that will be everyone’s answer) and at least cranked out a story or two. I also could’ve done more with the IWSG. Yes, we are now a Writer’s Digest Top 101site, but we need to keep moving forward. We tried a few new things, some that worked better than others. The ones that didn’t work well – hey, at least we know not to do that again! But we are brainstorming some new ways to better reach writers and give them the support they need. Overall, it was a good year, so I wouldn't want to go back and mess anything up. We didn’t get out to this one the weekend it came out due to a busy Thanksgiving holiday. It’s rare we see a film on anything but opening night, but I’m glad we made an effort to see this one. 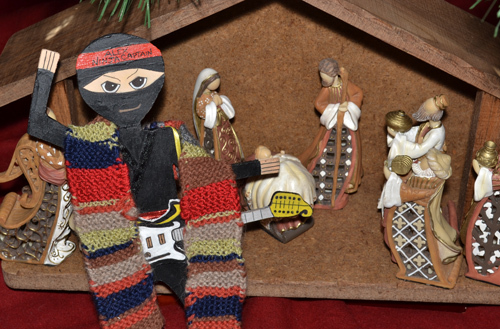 Miguel is an aspiring musician but his family has banned it for generations. An incident on the evening of Dia de los Muertos (Day of the Dead) sends Miguel to the Land of the Dead in search of answers. This is probably one of the most visually stunning computer animated films ever made. Every scene is rich with colors and textures. The story is very moving. (Sensitive souls, take Kleenex.) It’s all about family and its importance. Miguel’s struggle between his passion for music and his family is genuine and touching. It carries a positive message for everyone. And it pays great respect to the Mexican holiday. Miguel’s whole family is loaded with personality, especially those he encounters in the Land of the Dead. Along for the journey is a pathetic but happy Mexican Hairless dog and a man named Hector who is determined to visit the land of the living again before he’s forgotten. After a few years of hits and near misses for Pixar, they knock it out of the park with Coco. Last week’s IWSG Newsletter was truly amazing! If you’ve not signed up for it, you can do so HERE and you’ll even get a free eBook with some outstanding articles. 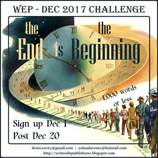 The WEP – (Write...Edit...Publish) team, consisting of those much-loved bloggers, Denise Covey, Yolanda Renée, Nilanjana Bose and Olga Godim, are open for submissions for their December challenge – The End is the Beginning. Heading into the holiday season, our minds often focus on year's end and perhaps look forward to new beginnings. At WEP, we dedicate December to musing about life, taking stock, thinking about where we're at at this point in time. Perhaps you'll be inspired to write a flashback, perhaps there's a change you're going through or one approaching, perhaps there's a branching off point that could be either an end or a beginning. Whatever strikes you, you have a choice in the way you submit – flash fiction, non-fiction, poetry, a photo essay or get your feelings onto a canvas and show us some artwork...The Top Three entries receive prizes! The End is the Beginning has any number of possibilities! Let your imagination run riot! What would you do differently if you could? 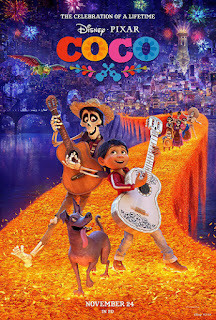 Have you seen Coco? Getting the IWSG newsletter? Ready for WEP? And can you co-host next year?